Giving Tuesday on Nov. 27 is a global day of giving that marks the beginning of the charitable season. On this day, sponsored and led by United Way, we gather with other organizations and individuals in the collective spirit of giving to be hands on and hearts in — and to help change lives and transform the places where we live and work. Begun in 2012 largely as a social media movement, Giving Tuesday has become a worldwide effort to change cultural norms — to make giving a more powerful message than buying on Black Friday or Cyber Monday. This movement has struck a chord, and the numbers have exploded. From $10 million in the first year to more than $300 million worldwide in 2017, Giving Tuesday has become a holiday force for good. Led by United Way, North Texas has the opportunity to earn the title of most generous region in the nation for the second year in a row. Combined with such efforts as The Dallas Morning News Charities Campaign and North Texas Giving Day, the Dallas metroplex is unparalleled in its ability to collaborate, cooperate, and tap the generous spirit of our region. As a family, we are all in. United Way — and living life in a united way — has been a defining piece of our adult lives and of Texas Instruments since the company’s beginnings. From the early years of our marriage, it has been our personal commitment to be part of the fabric of support and solution in our community. We found that United Way provides opportunities to give, volunteer, connect and live in ways that are consistent with our core values. United Way has a strong track record as the bridge between business and nonprofits, and of amplifying that connection for community impact. 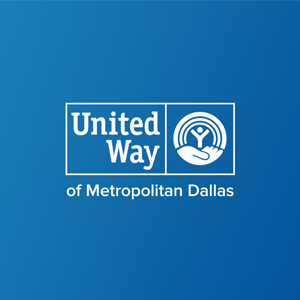 This year, we are honored to be the 2018-19 co-chairs of the annual campaign for United Way of Metropolitan Dallas, following Troy Aikman’s record-breaking $61.3 million campaign last year. We are the first couple to co-chair the Metropolitan Dallas community drive in the past 94 years, and it’s a point of pride to be able to work together on such an important project. It’s also an opportunity for us to focus on a critical piece of United Way’s future: inspiring the next generation to start its own legacy of giving. The impact we can have when we all work together is remarkable. The impact we can have when the next generation is involved will be lasting. That’s the power we can have not only with the citywide United Way campaign, but with Giving Tuesday as well. Involving our own children in this venture seemed natural, and Giving Tuesday provided the ideal occasion. Our children have grown up aware of United Way and our involvement, and have seen firsthand the benefits of volunteering and contributing to our community. On Giving Tuesday, our children will join us to host volunteer projects throughout the community highlighting United Way’s work in education, income and health — the building blocks of a thriving community. We are proud our children are stepping up on Giving Tuesday and we hope this will inspire a new generation of givers in North Texas to take part in solutions, as well as to give to them. This season, we encourage everyone to push beyond what you’ve done in years past and work with us toward a record-breaking Giving Tuesday in Dallas. Bring along your children or grandchildren, co-workers and friends to experience generosity and giving in action. Encourage others to find their own ways to contribute to making North Texas a great place to live, work and raise a family. Your legacy of giving will usher a new generation into the joys of helping others for the betterment of our community for generations to come. We live well and with joy and gratitude in North Texas. But for the Templeton family, our thankfulness is tempered with mindfulness that there are overwhelming needs among us. Those in need are never far from our thinking, and we challenge you to join us with hands on and hearts in to reach out, reassure and change lives for the better. To donate now, visit GiveBigDFW.org. Mary and Rich Templeton are co-chairs of this year’s fundraising campaign for United Way of Metropolitan Dallas. Rich Templeton is chairman, president and CEO of Texas Instruments.